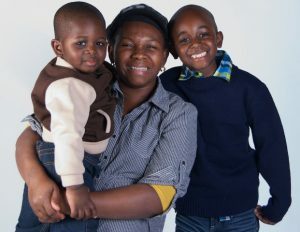 The Family Center’s mission is to strengthen families affected by crisis, illness or loss to create a more secure present and future for their children. With a business-minded approach to running our organization, The Family Center provides expert social and legal services, including health-care coordination, to vulnerable New York families confronting crisis or loss. 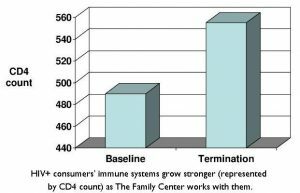 A Pfizer Foundation-funded study has proven that HIV+ consumers’ immune systems grow stronger as The Family Center works with them. This means healthier parents are able to care for their children. The Family Center’s immediate, hands-on assistance to families facing a crisis, particularly problems stemming from the loss or serious illness of a parent or primary caregiver. Our coordinated support programs promote sustainable family stability and build communities among families who support one another. 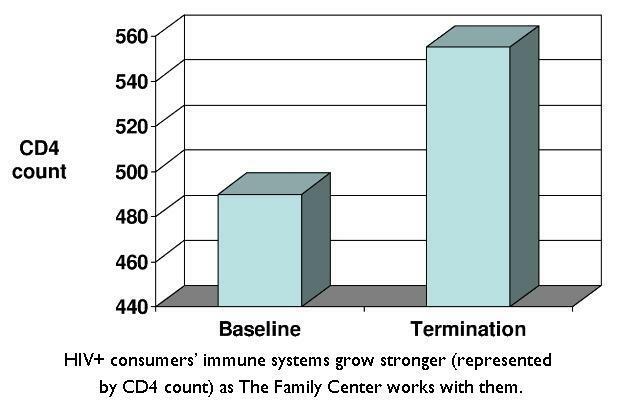 Research and regular program evaluations demonstrate the effectiveness of The Family Center’s support systems. If you would like to invest in keeping families stronger, longer, click here now.